It's no secret that Instagram is one of the best platforms when it comes to improving brand engagement. For making interesting Instagram posts all you need to do is post some quality images and short videos to get the attention of thousands of fans and get them to talk about your brand. Learn more about social media marketing and advertising for better branding. Whether you're a startup, middle-level enterprise, or fortune 500 company, the platform gives equal opportunities for businesses of all sizes and scope to entice the audience with quality content posting. But how to edit Instagram photos after posting? How to make Instagram better & how to make your Instagram feed look good that grabs attention? Creating Instagram videos is easy but comparatively for making videos more attractive, unforgettable and attention seeker need extra work. With some cool Instagram picture ideas and photo editing tips, follow these quick Instagram marketing ideas that help you make aesthetic Instagram accounts and attention-grabbing Instagram stuff to post on your feed. Last time you saw, 20 Traffic Driving Sites For Better Promotion After Publishing A New Article/Blog Posts and today we are going to discuss this pro guide that will help you to turn your video into cinematic looking professional video. Videos are now all the rage on social media, and they are doing a better job than text content and images with regards to getting the attention of potential customers. The good news is, Instagram recently replaced the 15-second video feature with 60-second videos to help brands generate more user engagement through their promotions. With that in mind, let's discuss how advertisers like you can leverage the benefits of video marketing on Instagram. 1. Choose the right aspect ratio. Here is the catch: When Instagram launched the video-sharing feature in 2013, there was the 15-second limitation, and the aspect ratio was set at 1:1 (or 640 x 640). But, now that the duration has quadrupled >> to 60 sec, it makes sense to note that the new aspect ratio of 1:1 is >> 1920 x 1080 (or 16:9). Although it’s delightful to know that marketers can now include more visual content in their videos, it’s important to keep in mind to have a bigger reach on the users’ attention, who will be a mobile audience and not computer users, sticking to the enhanced 1:1 ratio becomes crucial for marketers. This will help ensure that your videos will perfectly fit into the screen size of users, so they don’t miss your promotions when they scroll through their page. 2. Go for the crop when choosing clips. Although Instagram is designed for mobile users, marketers across the globe would definitely feel the need to make things look much bigger than just mobile video shooting or video editing apps – and rightfully so. That is one reason why marketers are shooting their ads with professional cameras. It goes without saying that there is no match to the high quality and resolution you get with professional cameras. Not to forget the editing process, which is more diverse in digital cameras. So, always use digital cameras when shooting videos for Instagram marketing. Assuming that you will be going for 1:1 ads, it makes sense to focus more on the frame that you want to display in the video, that is, regarding clarity. If you are going to shoot a 1920 x 1080 video, then part of the clip has to be cropped while posting. So, when shooting, keep this in mind and ensure that the frame to be in focus is shot in a 1080 x 1080 footage. This will allow you to have the important elements in the ad and crop the ones that aren’t important. 3. Use large, readable text. There are two things that make text appealing: color and size. Think of billboard ads. They use large, legible fonts that easily catch the attention of viewers. Apply the same technique to your Instagram videos, so you have better chances of allowing them to remember or even recall your ads. Larger fonts on videos are easy and quick to read while on the other hand tiny text can easily be overlooked by the audience. Another factor to consider when going for larger fonts in videos is to make them fit perfectly in the screen size. 4. Add a peppy audio in the background. Whether it’s TV commercial or online videos, music is as powerful as any other form of visual content. Videos with great music are said to have the biggest impact on users. Pick a sound that is relevant to your video content, one that can also appeal to users on an emotional level, and allow it to play in the background. Some people will just watch the full video if there is a song that they like. They might even re-watch your ad, which obviously leads to better engagement for your ad. Shutterstock Music is a great place to find peppy music for videos. 5. Use the right length. Don’t forcefully expand a video just because Instagram allows you to have 60 seconds of visual content. Your video can run only 10 seconds and still become an instant hit among the audience. 6. Consider using quotes as voice-overs. Shooting videos for social media platforms shouldn’t restrict you from using relevant quotes in your ad. If you find any quote that is appealing and appropriate, you can use it in the middle or end depending on your choice. 7. Do your own research. Finding out what your audience love is as important as trying to communicate to them about your offerings. Take some time to research the most popular/trending videos in your industry and make sure to create one on those lines. Look for the most appealing visual components in the sample video and replicate them in yours. This is like having a ready-made formula to expand the reach of your ad more effectively. 8. Don’t be afraid to show your funny side. Even if you are a brand, you are making videos for humans, so it helps to show your funny side. If you find something funny and relevant to your business while you are on the go, do not hesitate to shoot it and upload it on your timeline. People love realistic videos that make them laugh. And yeah, since you are using it for business promotions, it helps to curate a message that is relevant to your niche so that people can feel more connected to your stuff. If you are shooting videos, try varying your angles and take different shots to add more variation to your content. Stop-motion videos are probably the only exception to this idea. 10. Impress your audience with a good thumbnail. The thumbnail is one of the first things your users will see, so make sure you pick a thumbnail that is not only a good standalone pic but also a good teaser that entices viewers to explore the entire story. 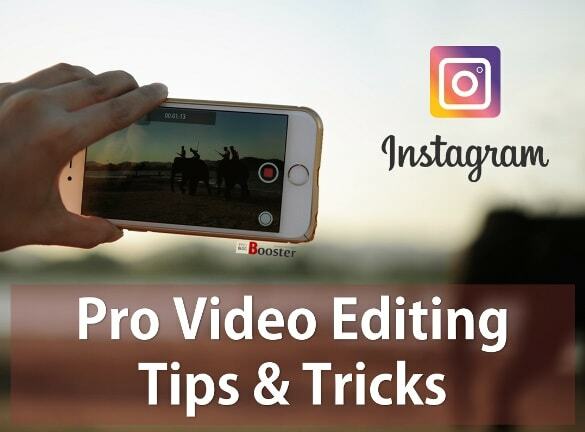 With these tips in mind, you should be able to create some stunning videos for your Instagram promotions. Don't forget to share your experience with us. Good luck!